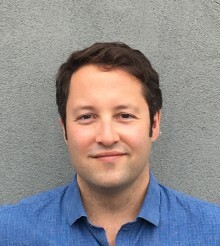 Dr Max Holleran’s work focuses on urban development in Europe and the United States, particularly how cities manage tourism. He has written about gentrification, architectural aesthetics, post-socialist urban planning, and European Union integration for anthropology, sociology, and history journals. His work on cities and politics has also appeared in the Australian Book Review, Boston Review, Contexts, Dissent, Los Angeles Review of Books, New Republic, Overland, Slate, and the Times Literary Supplement. He is the urbanism editor for Public Books.